The types of mutual funds are currently available in India range across a wide spectrum. They are largely classified by asset class, structure and investment objective. Each one of them has a different risk and reward profile. Therefore, you must choose the one which best suits your investment strategy and financial goals. This article will provide you all the information on the types of mutual funds and its sub-categories. So without further delay, let’s look into the matter. These funds primarily invest in the equities or shares of various companies. Because they tend to reap high returns, they are generally considered to be high risk. These funds invest in multiple debt instruments including fixed income assets, debentures, and government bonds. They are considered to be safe funds because, despite the market fluctuations, their returns are set. Also referred to as balanced funds, they usually invest in different asset classes, irrespective of the proportion of debts and equities involved. This ensures that the risks and returns remain in sync, thus striking a perfect balance. These funds invest in short-term liquid instruments like Treasury bills. They are considered to be risk-free as the returns, though moderate, are almost immediate. Just as the name suggests, sectoral funds make investments in well-defined market sectors like infrastructure, real estate or finance. The returns on these funds are entirely dependent upon the performance of that specific sector. To simply put it, index funds are equivalent to buying shares from listed exchanges like BSE or NSE. The returns vary with the movement of the index and are thus subject to market swings. The primary purpose of these funds is to enable an investor to claim tax deductions specified under the Income Tax Act. With this in mind, they solely invest in tax-saving schemes. Instead of investing in bonds or securities, the funds of funds invest in other mutual funds. The returns received are dependent upon the performance of the fund being invested in. 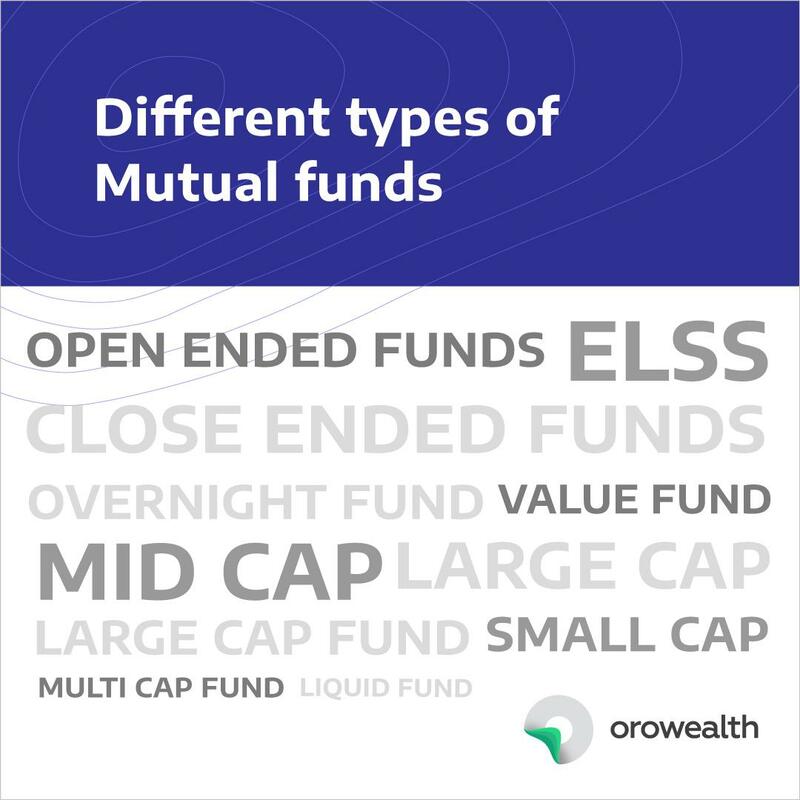 Open-ended funds are the types of mutual funds which are available to be bought and redeemed across the year. They do not have a definite timeline after which they expire. However, their purchase can be undertaken only at the prevailing net asset value (NAV). They are typically preferred by investors because they offer instant liquidity. In comparison, close-ended funds function according to a strict timeline. Their purchase is often limited to a specific period, and their redemption can also be made only on a predetermined maturity date. They are generally listed on the stock exchange and are preferred by those investors who want to lock in their money for a fixed time interval. The basic aim of the income funds is to provide you with both, a regular income and long-term capital growth. This is why they enable investors to place their money in fixed income instruments like bonds and debentures. The fundamental objective of growth funds is to provide capital growth or appreciation. They tend to invest in schemes where the possibility of the principal amount growing is high. This makes them risky but capable of generating good returns. The sole purpose of liquid funds is to provide a cover of liquidity to the investor. With this as the goal, they invest in short-term investment instruments like treasury-bills or government bonds. They are safer as compared to growth funds but can only generate moderate returns. Apart from the various types of mutual funds mentioned above, investors in India can also invest in Global or international funds. These are the funds which promote investment in assets located outside the home country. Although they can augment the diversity of your portfolio, they can also prove to be unsafe as they are subject to several political and economic risks, beyond the control of the investor. Mutual funds primarily consist of a corpus of money which has been pooled in by some investors. This money is further invested in a variety of asset classes ranging from shares and stocks to bonds and securities. Gains or losses accrued throughout the period of investment are proportionately distributed amongst all the investors, i.e. by their contribution to the initial corpus. The funds are managed by a professional fund manager and are regulated by the Securities and Exchange Board of India (SEBI). In other words, mutual funds are an investment vehicle which provides different investors with access to a diversified fund portfolio. The investors also have the freedom to put in small amounts and withdraw from the fund whenever the need arises. How to Invest in a Mutual Fund? To begin with, clearly determine what your investment objective is. Are you looking for instant returns or would you prefer a long-term association? Do you want to generate a regular income or are you interested in doubling your investment? Be transparent about what you want to achieve. Look up the funds which meet your objective and examine their prospects. Weigh their pros and cons based on the asset class, risk profile, structure and reward possibility. Avoid funds which charge fees that are higher than the total expense ratio. Try to divide your capital for investment into different funds. The greater your fund diversity, the stabler would be your returns. Search the historical returns accrued to each one of the funds you plan to invest in. This would enable you to judge their prospects. Find out who the fund manager is. 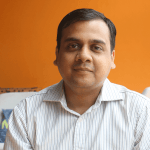 Is it an MF utility, a bank, a broker or an asset management company? What is their past track record? How many fees do they charge? Make sure you are aware, in detail, about the entity which will be responsible for pooling in and managing your hard-earned money. Choose the mutual fund scheme which best matches your requirements. Do you want to invest in a direct plan or a regular plan? A direct plan does not involve any intermediaries, and thus the expense ratio and charges incurred are lower. A regular plan costs higher but provides the additional benefit of third-party professionalism. After you have ticked all the boxes in the checklist above, you can easily invest in a mutual fund. This can be done either online or offline. All you need to do is submit your KYC details along with the application form. Mostly, the documents are processed, and the investment is made within 2 to 3 working days. Mutual funds allow you to invest in a diverse set of financial instruments, thus minimizing your risk. The prospects of all the stocks declining simultaneously are quite slim. This diversity offers a layer of protection to your capital. The professional fund managers can assist you with their qualifications, skill, and experience. They analyze the potential of various funds and help you figure out which one would best meet your investment objectives. You don’t need to build up a large corpus of money to invest in a mutual fund. Investments of smaller amounts are feasible too. This makes mutual funds an attractive option for those who prefer cost-effective and affordable financing alternatives. Mutual funds offer great flexibility to investors regarding investment and withdrawal options. Investors can choose various modes like lump sum, systematic transfer plans (STP), systematic withdrawal (SWP) or systematic investment plans (SIP), depending upon their needs and requirements. All mutual funds are registered with and regulated by SEBI. This ensures that they work extra hard to safeguard the investors’ interests. Moreover, various rating agencies continuously review mutual fund performance, strategy, and structure, thus bringing about transparency in operations. Besides these, mutual funds are also beneficial regarding offering eligibility for a tax deduction and providing better returns than another conventional mode of investments. Going by the sheer diversity and financial security they offer; mutual funds are likely to remain one of the most favored investment instruments in the future. It is, thus, no surprise that most investors have already begun to reorient their strategies towards investing their money in different types of mutual funds. The credit for this success also goes to professional online platforms like Orowealth, which have completely revolutionized the mutual fund sector. They don’t just empower their users by providing full-fledged comparative details about different mutual funds, but they also make sure that the entire process of investment is nothing short of a seamless affair. By using predictive technology, their experts help you find effective solutions to all your fund-related problems. If used wisely, mutual funds can prove to be an engine of consistent monetary growth. This is precisely why it is important to tap into their power and reap sustainable yields quickly.